I want to get something out of the way before singing the praises of Idil Biret's mazurkas. She does not have a subtle, colourful, nuanced touch; she does not have a sensitive and imaginative way of expressing herself. Nevertheless, I love this, because it's so intense. It's totally magnetic, hypnotic. I feel I can sense her sincerity completely. I can't stop listening once I start - and I'm certainly ready to tolerate her limitations. The recording quality is listenable. Pletnev plays 30 minutes of mazurkas, I don't know what to make of it really, it's refined and poetic and reticent. I think they’re wonderful. Thanks for posting. I think this is worth hearing, his way of articulating the music gives each piece large, bold, noble gestures. I like the weightiness and seriousness of his approach very much, extrovert without being unreflective; personal and expressive without being self indulgent. Nice enough modern piano rather well recorded. His notes on each mazurka may or may not have some insights. You'll see he waxes particularly lyrical about op 50/3 and he delivers a particularly magnificent performance of this mazurka to boot. Mazurka in C sharp minor, Op.6, No.2. Composed in Vienna in 1830. This Mazurka is written in ABA form. Section B expresses the greatest simplicity, similar to the simplicity to be found in the Polish national folk songs. Mazurka in E major, Op.6, No.3. (Vienna 1830) At times, this Mazurka is written similarly to dance music, without the possibility of dancing to it. It is full of exuberance and a continually joyful mood, full of irregular accents. This is something typical of Polish folk dance music. Bars 41 to 48 provide proof that this music is not written to be danced! Mazurka in B flat major, Op.7, No.1. (Vienna 1830-31) Very simple music, maestoso until bars 45 to 53 where it then becomes slightly mysterious. Mazurka in A minor, Op.7, No.2. (Vienna 1830-31) This Mazurka is very lyrical at the beginning and then becomes dramatic. In bars 42-46, it is more maestoso, before becoming lyrical once again. Mazurka in F minor, Op.7, No.3. (Vienna 1830-31) This starts with an introduction expressing a mysterious atmosphere during the first eight bars. Then, between bars 41-54, a new mood takes place, which is a very typical dance mood. Mazurka in C major, Opus 56, No.2. (Paris 1843) This is a very energetic folk dance, but in bars 37-50, it becomes lyrical and poetical, totally unlike the idea of a dance, and continues so between bars 53-78. (Dvorak also composed a Mazurka in C major, Op.56, No.2, which has similar character to Chopin's Mazurka Op.56/2). Mazurka in A minor, Op. 17, No.4. (Paris 1832-3) This one is very slow and it uses notes formed by irregular groups of ornamentation, following a similar method using ornaments to be found in many of his works, notably in his Piano Concerto No.2 in the second movement. Mazurka in C major, Op.24, No.2. (Paris 1834-35) This starts as an improvisation, which announces a very dazzling melody. Bars 21 and 30, demonstrate the way Chopin improvises. Here, he repeats the same melody four times with ingenious small changes. At the end of the Mazurka, he returns to the opening improvisation. Mazurka in D flat major, Op.30, No.3. 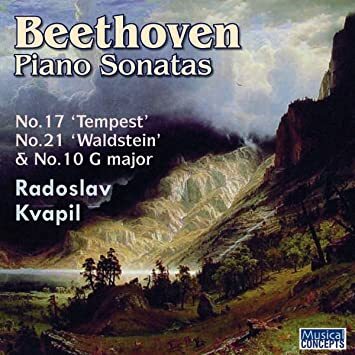 (Paris 1836-37) This could be music pathetique like Beethoven's or Liszt's music, but Chopin, with his use of brutal dynamic changes, where he jumps regularly from fortissimo to pianissimo, creates a totally different character. Mazurka in C sharp minor, Op.30, No.4. (Paris 1836-37) I consider this to be one of Chopin's finest Mazurkas. After four bars of introduction, which correspond to a slightly mysterious opening, the Mazurka continues as an energetic dance. Chopin then destroys the regular form ABA, because in bars 65-96, he suddenly adds a new idea, in which he expresses his great love of the Polish Nation. We then later find the same idea of the love of one's Nation, in the middle section of the Polka in F major in Smetana's Czech Dances. After bar 133, comes quite an extraordinary ending, in which the three bars 137-140 resemble Schumann's Vogel als Prophet (Bird as a Prophet) from his Waldescenen, Op.82. Mazurka in G sharp minor, Op.33, No.1. (Paris 1837-38) This is one of Chopin's saddest works. In bars 16 to 36, he is trying to escape from his feeling of despair, but this is in vain, and his hopelessness returns. Mazurka in B minor, Op.33, No.4. 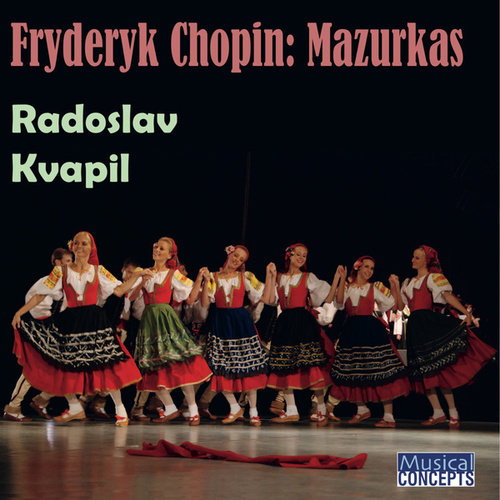 (Paris 1837-38) With its 224 bars, this is perhaps Chopin's longest Mazurka. All the main ideas in bars 1-24, 49-64 and 129-175 are brilliant and highly inspired; however, in my opinion, permanent repetition of these ideas destroys the appropriate balance of the work. It would therefore appear that bars 176-192 should have been edited out of a final revision. Chopin would have needed to come back to the main theme in bar 193. But we can rarely find in any of his other works such examples of an inelegant solution as here, with so many bars of music without inspiration. Mazurka in B major, Op.41, No.3. (Paris 1839) This Mazurka has not the special character of a mazurka. In the first four bars, it starts as a dance, but the whole work expresses brilliant music, more greatly resembling that of a prelude. Mazurka in C sharp minor, Op.50, No.3. Composed in Paris in 1841-2. This Mazurka is the finest and also the most magnificent. Beginning in polyphonic form, it is similar to a principle to be found in a canon, and it does not resemble a dance. The rhythm of the Mazurka comes about in bar 17, but not for a long time. Between bars 25 and 32, a dialogue takes place between two independent voices, until bar 33. Then from bars 33-40, there is a reminder of the beginning of the Mazurka. Section B, between bars 41 and 93, leads to a very simple mazurka. Section A returns in bars 94 to133. Then Section C commences, which corresponds to a large coda. Between bars 145 and 172, Chopin proceeds with a considerable amount of work as a composer, in which he goes to great depth by using chromaticisms, which increase the expression very considerably . Everything is aiming to reach the summit of the work in bars 173-179, which he then attains. In making comparisons to this Mazurka, it is interesting to see how Bedrich Smetana, in his work Poetic Polkas Op.8 No.2, adopts the main ideas of this Mazurka, even if his music is totally different. His poetic beginning is not like a dance. Then an energetic dance, in this case, a polka, takes place from bar 10, but not for long, and a dialogue then happens between two independent voices. Then there is a reminder of the first nine bars of the beginning. Such a similarity between these two works leads one to ask oneself if Smetana already knew Chopin's Mazurka Op.50 No.3 when he composed his work Poetic Polkas Op.8 No.2, or whether he composed it in such a way unconsciously. Mazurka in A flat major, Op.59, No.2. Composed in 1845 in Paris. Beginning in piano dolce, it is presented in forte grandioso in bars 23 to 43. Section B (bars 45 to 68) is not dance-like. The mood increases in expression, aiming to return to the main theme from bar 69. Between bars 82-88, Chopin resorts to improvisation, in which the fingers glide along the keyboard in that usual manner. The real coda starts in bar 89. Then, between bars 108 and 109, a new, fairly rapid improvisation takes place once again. Mazurka in F minor, Op.63, No.2. Composed in 1846 in Paris. This was one of Chopin's last Mazurkas, which he both composed and published himself. It evokes great simplicity and yet also a deep feeling of sadness. this indecisive mood by resorting to somewhat complicated polyphony, enabling hin to find a final solution in bars 77 and 78. Mazurka in G minor, Op.67, No.2. Chopin composed this work in 1849, in Paris. Mazurka in A minor, Op.67, No.4. Chopin composed this Mazurka in 1846, in Paris. Mazurka in C major, Op.68, No.1. Chopin composed this Mazurka in 1829, in Warsaw. These three above were all published posthumously by Julius Fontana in Paris, in 1855. Mazurka in A minor, Op.68, No.2. Chopin composed this Mazurka in 1827 in Warsaw. It was later also published as a posthumous work by Julius Fontana in Paris, in 1855. This well-known Mazurka is what is commonly known as the Rossignol. The wide popularity of this work is derived from the great poetry it expresses. Mazurka in F major, Op.68, No.3. Chopin composed this Mazurka in 1829 in Warsaw. It was published as a posthumous work by Julius Fontana in Paris in 1855. This Mazurka however belongs to Chopin's early works. Here the Mazurka has a slightly festive character and it has a possible characteristic which can typically be found in a Polonaise. Its middle section is poco piu vivo, and bars 33-44 provide a very different mood from the one in the other parts. The same sparkling character also appears both in Op.7 No.1 and in Op.6 No.2, enabling Chopin to create both a new dimension and a new mood. Mazurka in F minor, Op.68, No.4. Chopin composed this Mazurka in Paris in 1849. It was later also published posthumously by Julius Fontana in Paris, in 1855. This is the final Mazurka Chopin composed before his death in October 1849. This one is deeply poetical. By adding the words ad infinitum to the end of this composition, Chopin expresses his farewell to life. Only some of Schubert's final Lieder are able similarly to describe the precise moment at which human life is about to end. Mazurka in B flat major, which Chopin composed in Warsaw in 1825, might have been his first ever mazurka. It was published in Warsaw in 1826. Thanks for pointing this out. I really like the performance. I guess I will have to try his Chopin Ballades, too. And a challenging Waldstein, which I'm trying to follow now. I've heard he's exceptional in Smetana and Dvorak, I haven't heard that but I intend to try his Janacek sometime. so far I've only heard the Overgrown Path 2 on Panton, it's good. 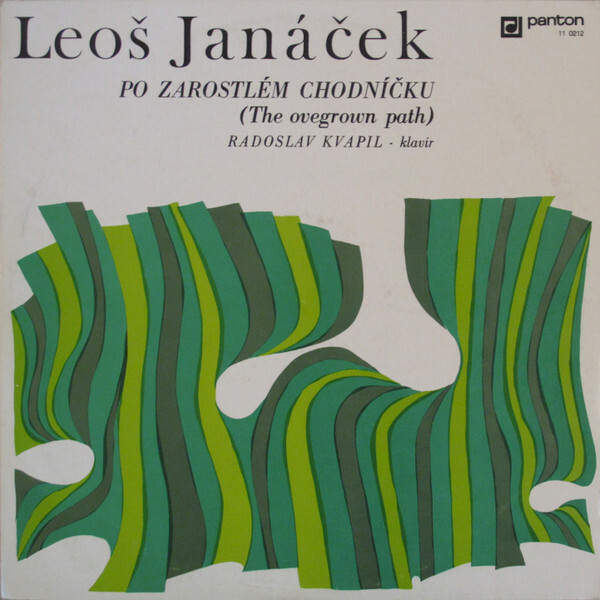 I see he has some Janacek as part of a huge collection called "Anthology of Czech Piano Music" and from what I can see they're different performances, I guess the Panton are earlier since Panton was an LP label. Lots to explore. I guess the Panton are earlier since Panton was an LP label. The Waldstein is really Arrauvian. I know that for some people this is condemning it, but not for me! In fact maybe it’s more successful than most of Arrau’s attempts. He out-arraus Arrau.